New Zealand's Prime Minister Jacinda Ardern has vowed never to mention the name of the perpetrator of the massacre at two mosques. Calling the killer "terrorist, criminal, extremist," she has asserted, "He will be, when I speak, nameless." It is part of New Zealand's overall attempt to ban footage of the incident under the theory that any images or mention of the perpetrator will somehow glorify him. "He may have sought notoriety, but we in New Zealand we will give him nothing," Ardern stated, attempting to differentiate New Zealand's approach from those of other countries. And the country has been widely praised for how quickly it promised toughened gun regulations and solemnly commemorated the victims. But there's a problem. Fifty people were murdered. 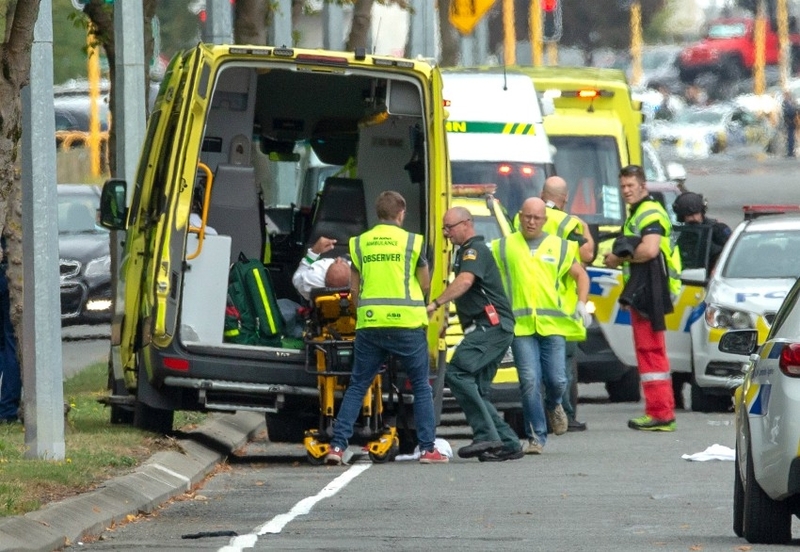 New Zealand authorities demanded from the first moments after the attack that social media companies remove videos of the massacre in Christchurch. The country has also blocked access to sites that host video of the attack, according to the news and media site The Verge. The goal appears to be that there will be no footage of the attack, and that the name of the perpetrator will disappear from public discourse. Why stop there? Let's ban all images of terrorism and mentions of terrorist leaders like Osama bin Laden or Abu Bakr al-Baghdadi. There's something strange about this strategy that is reminiscent of Lord Voldemort in Harry Potter, "He who must not be named." Did not naming that character make him disappear, even in fiction? There is no evidence that by simply not naming terrorist perpetrators, such as Timothy McVeigh, or by not showing any footage from their attacks, we will reduce terrorism or help memorialize their victims. When I was a teenager, the Oklahoma City Bombing which killed 168 people, was a very important event. We learned a lot about McVeigh. American writer Gore Vidal even called him "eloquent" and accused the media of depicting him as "sadistic, crazed monster." New Zealand's approach may be more about preserving the county's image than it is about actually confronting the racism and hate that led to the terrorist attack at two mosques. The fact is, two of the world's worst far-right acts of terrorism in recent memory took place in New Zealand and Norway, two countries that pride themselves on being more progressive, and not prone to the kind of gun violence and racism that afflict other societies. But then, why did these attacks take place there? In Norway recently, the public prosecutor's office refused to press hate-crimes charges against a rapper who cursed "f***ing Jews." Norway claimed it was an anti-Israel comment. That's a convenient way to whitewash antisemitism. It might be part of a larger attempt to simply re-classify hatred as something else, so as to pretend the country does not have a problem. In New Zealand, many questions remain about how a man who was active on social media prior to his attack went largely unnoticed. As is usual after these kinds of incidents, the social media platforms deleted his accounts. That is a convenient way – sort of like banning footage and not saying the terrorist's name – to quietly make sure any footprints he left on the way to committing the crime have been covered over. Under the supposed guise of making sure he won't be worshiped, or that his actions don't lead to copy-cat attacks, all traces of evidence showing how he was radicalized are removed from the public record. What about his followers? Who were they? What did they know? What networks did he use? What if we did the same with all similar attacks? Let's remove from the public record every mention of Bin Laden, and we'll just make sure no one knows who he met and where prior to 9/11. Let's remove all mentions of the KKK. No images of their crimes either. And Nazism? Well, we can get rid of Mein Kampf and everything leading up to the Holocaust. Does that help us learn from these crimes? Do we learn from things by erasing every piece of information about them? Doesn't an open society tend to confront extremism better because it knows more about it, more about the warning signs, the signposts that lead to it? For instance, if we no longer mention the name of the New Zealand terrorist, or the man who attacked Jews in a synagogue in Pittsburgh, then are we well-armed to confront a person who says online, "I support XXXXX." Since we no longer recall his name, we won't know what the person is talking about, and won't report it as hate. Isn't it preferable that when someone says "I like Hitler," we can articulate why we don't like Hitler, as opposed to just asking "Who?"